A blazar is an active galactic nucleus (AGN) with a relativistic jet (a jet composed of ionized matter traveling at nearly the speed of light) directed very nearly towards Earth. Relativistic beaming of electromagnetic radiation from the jet makes blazars appear much brighter than they would be if the jet were pointed in a direction away from the Earth. Blazars are powerful sources of emission across the electromagnetic spectrum and are observed to be sources of high-energy gamma ray photons. Blazars are highly variable sources, often undergoing rapid and dramatic fluctuations in brightness on short timescales (hours to days). Some blazar jets exhibit apparent superluminal motion, another consequence of material in the jet traveling toward the observer at nearly the speed of light. A BL Lacertae object or BL Lac object is a type of active galactic nucleus (AGN) or a galaxy with such an AGN, named after its prototype, BL Lacertae. In contrast to other types of active galactic nuclei, BL Lacs are characterized by rapid and large-amplitude flux variability and significant optical polarization. Because of these properties, the prototype of the class was originally thought to be a variable star. When compared to the more luminous active nuclei (quasars) with strong emission lines, BL Lac objects have spectra dominated by a relatively featureless non-thermal emission continuum over the entire electromagnetic range. 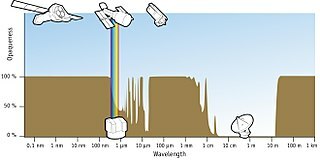 This lack of spectral lines historically hindered BL Lac's identification of their nature and proved to be a hurdle in the determination of their distance. An optically violent variable quasar is a type of highly variable quasar. It is a subtype of blazar that consists of a few rare, bright radio galaxies, whose visible light output can change by 50% in a day. OVV quasars have essentially become unified with highly polarized quasars (HPQ), core-dominated quasars (CDQ), and flat-spectrum radio quasars (FSRQ). Different terms are used but the term FSRQ is gaining popularity effectively making the other terms archaic. In 1968 a similar connection between the "variable star" BL Lacertae and a powerful radio source VRO 42.22.01  was made. BL Lacertae shows many of the characteristics of quasars, but the optical spectrum was devoid of the spectral lines used to determine redshift. Faint indications of an underlying galaxy – proof that BL Lacertae was not a star – were found in 1974. ↑ Urry, C. M.; Padovani, P. (1995). "Unified Schemes for Radio-Loud Active Galactic Nuclei". Publications of the Astronomical Society of the Pacific. 107: 803. arXiv: astro-ph/9506063 . Bibcode:1995PASP..107..803U. doi:10.1086/133630. ↑ Urry, C. M.; Scarpa, R.; O'Dowd, M.; Falomo, R.; Pesce, J. E.; Treves, A. (2000). "The Hubble Space Telescope Survey of BL Lacertae Objects. II. Host Galaxies". The Astrophysical Journal. 532 (2): 816. arXiv: astro-ph/9911109 . Bibcode:2000ApJ...532..816U. doi:10.1086/308616. 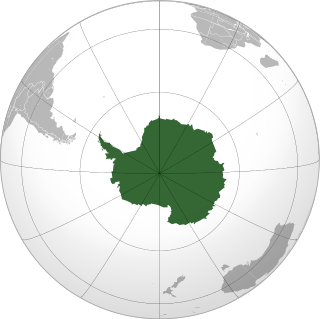 1 2 "Neutrino that struck Antarctica traced to galaxy 3.7bn light years away". The Guardian. 12 July 2018. Retrieved 12 July 2018. 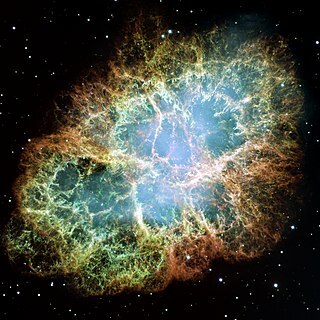 1 2 "Source of cosmic 'ghost' particle revealed". BBC. 12 July 2018. Retrieved 12 July 2018. ↑ "Black Hole 'Batteries' Keep Blazars Going and Going" . Retrieved 2015-05-31. ↑ Ajello, M.; Romani, R. W.; Gasparrini, D.; Shaw, M. S.; Bolmer, J.; Cotter, G.; Finke, J.; Greiner, J.; Healey, S. E. (2014-01-01). "The Cosmic Evolution of Fermi BL Lacertae Objects". The Astrophysical Journal. 780 (1): 73. arXiv: 1310.0006 . Bibcode:2014ApJ...780...73A. doi:10.1088/0004-637X/780/1/73. ISSN 0004-637X. ↑ "SIMBAD query result". simbad.u-strasbg.fr. Retrieved 2018-07-13. ↑ "IceCube Neutrinos Point to Long-Sought Cosmic Ray Accelerator". icecube.wisc.edu. Retrieved 2018-07-13. Wikimedia Commons has media related to Blazars . 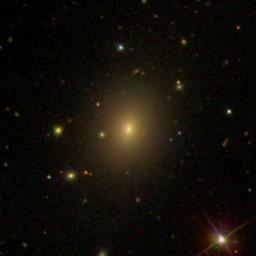 Seyfert galaxies are one of the two largest groups of active galaxies, along with quasars. They have quasar-like nuclei with very high surface brightnesses whose spectra reveal strong, high-ionisation emission lines, but unlike quasars, their host galaxies are clearly detectable. In astroparticle physics, an ultra-high-energy cosmic ray (UHECR) is a cosmic ray with an energy greater than 1 EeV (1018 electronvolts, approximately 0.16 joules), far beyond both the rest mass and energies typical of other cosmic ray particles. A blueshift is any decrease in wavelength, with a corresponding increase in frequency, of an electromagnetic wave; the opposite effect is referred to as redshift. In visible light, this shifts the color from the red end of the spectrum to the blue end. Relativistic beaming is the process by which relativistic effects modify the apparent luminosity of emitting matter that is moving at speeds close to the speed of light. In an astronomical context, relativistic beaming commonly occurs in two oppositely-directed relativistic jets of plasma that originate from a central compact object that is accreting matter. 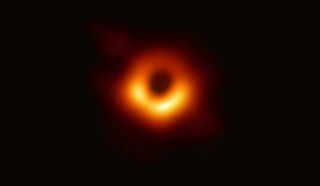 Accreting compact objects and relativistic jets are invoked to explain the following observed phenomena: x-ray binaries, gamma-ray bursts, and, on a much larger scale, active galactic nuclei (AGN). Markarian 421 is a blazar located in the constellation Ursa Major. The object is an active galaxy and a BL Lacertae object, and is a strong source of gamma rays. It is about 397 million light-years to 434 million light-years (133Mpc) from the Earth. It is one of the closest blazars to Earth, making it one of the brightest quasars in the night sky. It is suspected to have a supermassive black hole (SMBH) at its center due to its active nature. An early-type high inclination spiral galaxy is located 14 arc-seconds northeast of Markarian 421. APM 08279+5255 is a very distant, broad absorption line quasar located in the constellation Lynx. It is magnified and split into multiple images by the gravitational lensing effect of a foreground galaxy through which its light passes. It appears to be a giant elliptical galaxy with a supermassive black hole and associated accretion disk. It possesses large regions of hot dust and molecular gas, as well as regions with starburst activity. The Whole Earth Blazar Telescope (WEBT) is an international consortium of astronomers created in 1997, with the aim to study a particular category of Active Galactic Nuclei (AGN) called blazars, which are characterized by strong and fast brightness variability, on time scales down to hours or less. Markarian 501 is a galaxy with a spectrum extending to the highest energy gamma rays. It is a blazar or BL Lac object, which is an active galactic nucleus with a jet that is shooting towards the Earth. S5 0014+81 is a distant, compact, hyperluminous, broad-absorption-line quasar, or blazar, located near the high declination region of the constellation Cepheus, near the North Equatorial Pole.